For sure is Shore Jigging. Everything is the same but in smaller sizes. 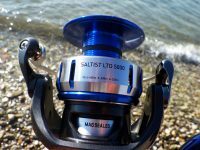 Even the twitching of the jigs is the same but now it is done simply by wrist movement. That simple! Now, regarding all your other questions, I am confident that we will analyze below, after saying a few words about our current objective. The tiny jig! Tiny Jigs are downsized versions of normal jigs. They act the same and they also have same colors like their bigger cousins. However tiny jigs are often armed with a treble hook or both a treble hook and a tiny assist hook. 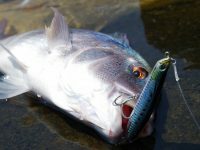 Smaller fish have very delicate jaws and can often tear up, so assist and treble will do the work. 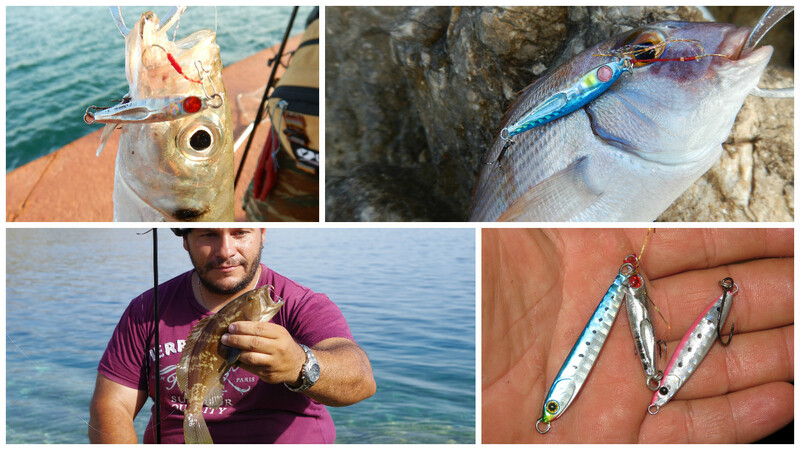 Their sizes can vary from 3 to 20gr and is very interesting that the smaller it is, the more strikes it gets. I personally love the 7 to 14 grammars range! Jig use: After sinking we start with briskly consecutive Heeltaps to upload our jig. After 15 to 30 “hits” on our jig (depending the depth) we leave it reach the bottom again. Depending the place and targets we choose to search all the way from bottom to mid waters to deeper places or all the way to the surface at shallower ones. Yes there are also small inchiku that work excellent near the bottom for many types of fish. Inchiku belongs to the jig family and we should definitely have some with us. Inchiku use: Also here after we reach the bottom, we start to jig with slower strokes that look more like “lifting” our artificial rather than “hits”. After 6-7 such movements meant that each is accompanied by rotation of the crank mechanism, we allow again the inchiku to return to the bottom. Normally most strikes occur while “falling” so keep your eye on the braid. Tiny inchikus are “killers” on bottom species! Depth is critical. For sure we cannot fish to great depths like we do with heavy shore jigging and now we focus mostly from 2 to 3 meters and up to 20. Personally I give great base from 8 to 15 meters depth but always depending on the conditions. 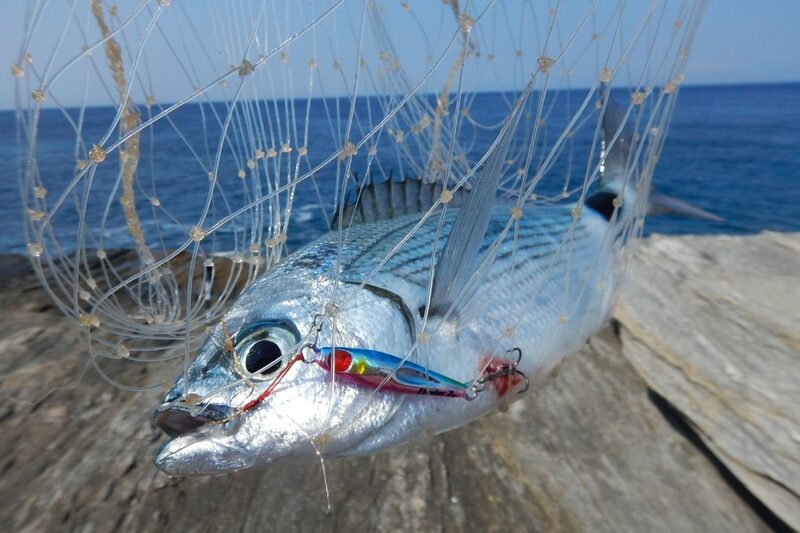 For example if there are strong currents or wind, this will force us to fish on shallower places while in complete calm sea we can fish even with a 16gr jig near the bottom of a 20m place! Tiny jigs can be extremely effective!!! A tiny fish (our jig) is an excellent appetizer for any larger fish. 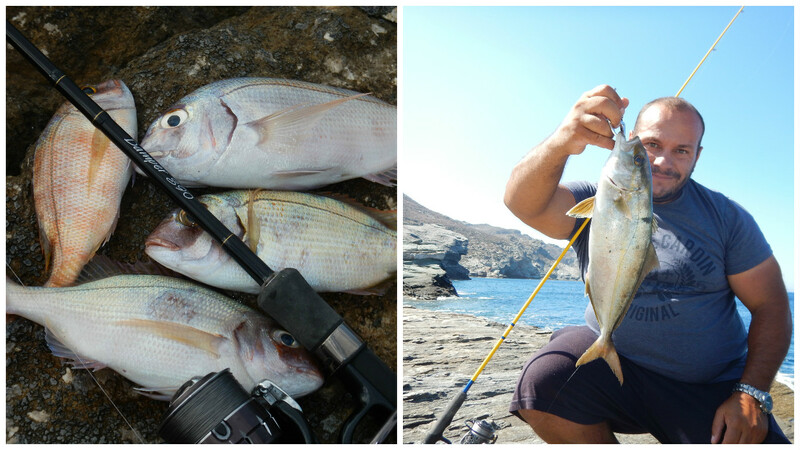 So it is very easy to catch garfish, saddled breams, all types of mackerel and jacks, small groupers, small snappers etc. 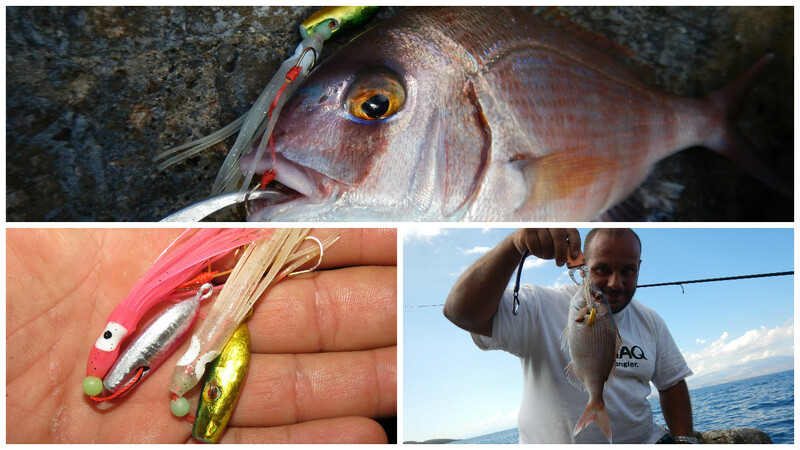 Do not be surprised if you will catch also fish that you normally wouldn’t expect like wrasse, cobe, bogue etc.